Speyside in Scotland is the world’s greatest malt whisky producing region. It takes its name from the beautiful River Spey, which provides many of the distilleries with the water that they need to make the finest malt whisky. A Single Malt Whisky is the product of one specific distillery and has not been mixed with whisky from any other distillery. Speyside is the undisputed centre for malt whisky in Scotland when it comes to the number of distilleries located in a single area. Scotland is divided into six whisky-producing regions: Speyside, Lowlands, Highlands, Campbeltown, Islands and Islay. Speyside is geographically part of the Highlands but is considered a separate region because of its size and the different characteristics of Speyside whisky as opposed to other Highland whisky. Although each whisky is unique, the malts produced in each region have some common characteristics which separate them from whiskies from other regions. These differences are the result of several factors such as the use of different barley, water and yeast, as well as climate variations and different production techniques. The Speyside malts do share certain characteristics. The connoisseur can detect honey and fruit flavours blended with rich floral aromas that deepen the warmth of a classic malt whisky. On the Malt Whisky Trail of Speyside, one may find more than half of Scotland’s malt whisky distilleries. Each whisky distillery follows its own traditions and recipes for creating the magic of whisky. 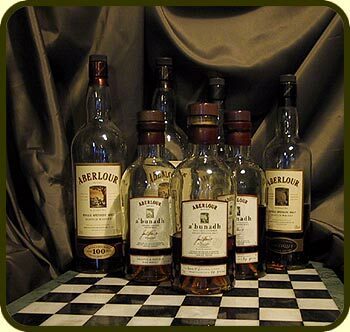 These variations in the whisky formation produce the unique characteristics of each delightful Speyside whisky. All distilleries offer visitors a sample of their distinctive finished product. Some include an informative nosing and tasting while others give an insight into the complex art of whisky production. Following the world-famous Malt Whisky Trail, signposted throughout the area, will lead the adventurer through the picturesque countryside of Speyside, the world’s favourite malt whisky region. 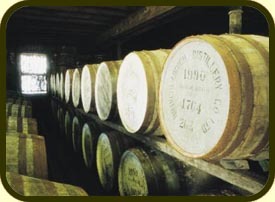 The Speyside Cooperage is also featured on the Whisky Trail. Visiting the Cooperage is a wonderful step into the traditional spectacle of the sights and sounds of skilled craftsmen plying their trade, fashioning the various sized barrels needed in the production and storage of whisky. 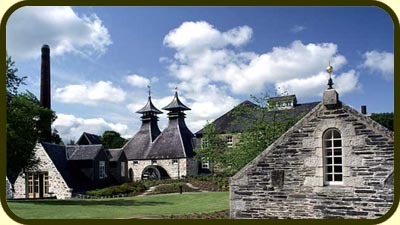 The following are the distilleries on the Malt Whisky Trail along with the Speyside Cooperage. The Whisky Festival is an annual event held in Speyside at the beginning of April in order to celebrate “the water of life”. There are master classes held to educate the nose and palate, tours given at distilleries seldom open to the public, festive food and celebratory music. Different venues throughout Speyside, offer a matchless encounter for all that are interested in the whisky experience.